We vowed that we would take a day off from computer work, get some exercise, and take in the sights. And we did! First I have to tell you how we found out about the hiking around here. Did you know there is another way to find out information besides googling it on our computer ... or smartphone? We noticed a sign for South Carolina Welcome Center when we first arrived and decided to check it out. One simple question to the friendly woman behind the counter and we were loaded with booklets and pamphlets, maps and pictures of exactly what we were looking for ... hikes and waterfalls nearby. A visit to the Welcome center, can be even more informative than Google! We watched the weather carefully, and picked Wednesday May 30 as the day for our hike. And, I took along my brand new digital SLR camera - along with lenses from our friend Glenn - looking forward to trying it out on nature. Wish we could hike in beautiful places like this every week. It was a beautiful hike thru the woods for nearly 6 miles with only slight ups and downs - called the Big Bend trail. There was a pretty stream as part of the hike, but we had heard so much about waterfalls in the area, we had to go in search of them. What we found is called Whitewater Falls and it's right on the North Carolina/South Carolina border. In fact, the literature says that the top is in the north and the bottom is in the south. I think it's one of the most beautiful waterfalls I've ever seen. I was entranced. My new Canon even takes video! And, I have to play around with Picasa to create some special pictures. Just to prove we were there, we handed our cellphone to someone else. For the last 3 years, we have happened to be at a Thousand Trails park for Memorial Day weekend. In 2011 we were just outside of Cincinnati at the Wilmington Thousand Trails, and in 2010 we were at Natchez Trace in Tennessee. This year we're at Carolina Landings in South Carolina. This is a really hilly park. We picked a site on top of a hill - we get the best Verizon signal there. I'll bet you don't get any signal at the bottom of some of these hills. ohh ... speaking of Verizon - somebody just flipped the switch and we even have 4G here now! As with all Thousand Trails preserves, it is on water. This one is a large reservoir called Lake Hartwell. Over the holiday weekend, these parks always fill up, and they have lots of activities and entertainment. We usually are hunkered down at our computers and stay away from the crowded pool and bicycling kids, but it's fun to watch the parade go by! And, we appreciate having the live entertainment. This year it was Roger Hurricane Wilson. 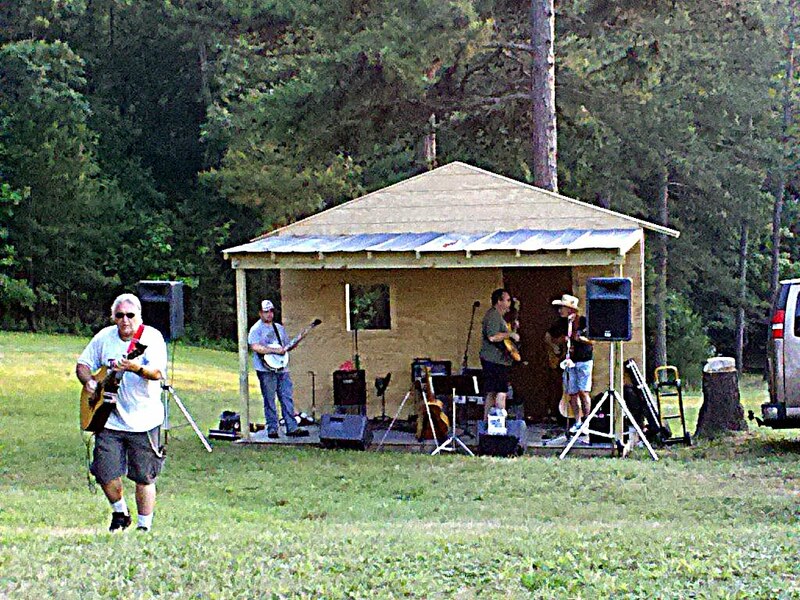 He played in an open field and we brought our camp chairs and beer and had a great time listening to good music. Apparently, he is an RVer and a regular at Thousand Trails. Check out his 'Home Sweet Home in my RV' song. What a treat! Roger 'Hurricane' Wilson playing Blues at Thousand Trails. What a cute stage! A little later in the week, we went to the concert given by another group, the Weaver Family - gospel and bluegrass band. I think they were primarily here to perform for Sunday services which we don't attend, but they also gave a Wednesday night performance, and they were great. I was especially fascinated a their story. It's all one family - Mom, Dad, and eight kids - all performing. They travel in 2 MCI bus conversion RVs. OMG After the concert, I bought a book written by one of the daughters, Anna, called 'Surviving the Revival' A Glimpse into the Life of the Weaver Family Band. I've only read the first chapter so far and learned that they have to do 2-3 loads of laundry EVERY DAY just to keep up. Watch a short video clip I posted of them in facebook. Well I added a photo but it looks like an attachment. I might actually use this since I can type with Swype, it's not too slow. I love my new Droid Razr! This photo was taken with the cool automatic panorama mode in my Razr's camera. I'm adding these notes from the computer, after publishing the post using the Droid. The picture gets added at the bottom - doesn't seem to be any choice about that. And, I have no idea why it is so small! They're almost always in beautiful natural surroundings. They're educational. and they're just unique enough to suit my fancy. So - when we picked up a brochure of attractions in the area and saw a fish hatchery, I said 'Let's Go!' So, yesterday we set off in search of Walhalla Fish Hatchery. They stay here for over a year before released. Here's why I really like Fish Hatcheries ... it's the streams running by. 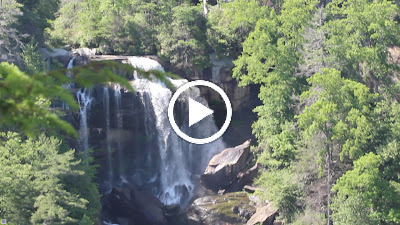 I decided to use this stream to try out the video in my new Canon T3i Digital SLR camera. I think I can just play this in a loop on my computer whenever I want to meditate, or just sit calmly. hmmm - Youtube really lowers the quality - I think I'll find another way. Here's another one ... still youtube, but you can choose HD by clicking the gear. That was a nearly 300 mile drive from where we were in Hilton Head, giving us enough time to finish reading Nick Russell’s latest murder/mystery novel – Big Lake Lynching. Reading from my Kindle while Jim is driving is one of our favorite ways to spend time. We read Nick’s first novel, Big Lake, this way and found ourselves looking forward to the sequel. Murder mysteries are not normally high on my reading list, but since Nick is a friend, we really wanted to read his work. Both books were fun reads. As I got towards the end, I found myself reading out loud faster and faster because I wanted to know whodunnit! Nick has also written several non-fiction books about RVing. You can see all of Nick Russells’ books on Amazon, both paperback and Kindle editions. What I find truly fascinating is how successful he’s been with these novels! Talk about doing something you love and the money comes. And, what a great way to make a living on the road. It’s perfect because it makes no difference where you are, or when you do the writing. Last year, his eBook sales made him a good living. He writes all about it in a blog post entitled: A Year of eBooks. If you have any interest in publishing your own eBooks, I recommend you read his article. I know I’m interested! Nick makes it look so easy, but I know it’s not. He works at marketing every single day. It’s not just about writing and putting it on Amazon’s Kindle store. We know! Our Beginner’s Guide to Picasa has been on the Kindle store for a couple months now and I can count sales on one hand. One thing that really helps sales on Amazon is customer reviews. If any of you have used our Picasa book and found it helpful, we sure would appreciate it if you would leave a review on Amazon. Here’s the link to the Kindle edition, and here’s the Printed Book plus DVD edition. We’ve sold quite a few of the printed book and DVD combination. We sell it on our own website, and our friends Diane and Andy, sell it for us on Amazon. They have their own store for Yoga and Pilates Equipment called Rolling Sands Harmony. Actually they’ve recently sold out of stock and Jim just had to print up 20 more and send them off. Another order he had to send off was to New Zealand! It is just so cool what the Internet allows us to do these days – run an international business from our traveling home on wheels. Here is our International Headquarter Offices! Currently located in Fair Play, South Carolina. Till next week that is. Luckily Verizon is good here – otherwise we wouldn’t be able to stay. Thank you Cell Tower! I have to admit that the tower is prettier to me than the gorgeous forest of trees all around us! Because … like I said, without the tower we couldn’t stay here and enjoy the rest. 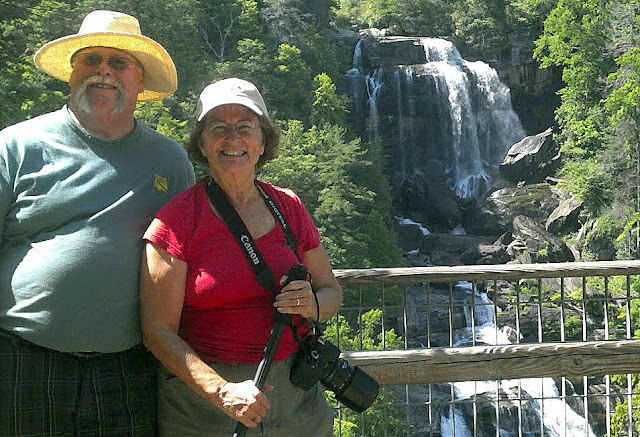 Peggi McDonald of RVLiving.net has been fulltime RVing for 27 years! her tips are well researched and timeless. Her eBooks and others are on her Book Nook page. Jamie Hall-Bruzenak of RVLifestyleExperts.com has written many books on the RV Lifestyle all available on their RV Books page. Those of you who know Jamie and RVLifestyleExperts, know that the other half of the team was Alice Zyetz. I am so sad to report that Alice passed away this week. According to this post on Nick Russel’s Blog, she died from congestive heart failure. She was not only a prolific writer about the RV lifestyle but also a caring teacher for those of us who wanted to write. She was moderator of the Escapees ‘Penwheels’ writers group. She will be sorely missed, but her books live on. Joe and Vicki Kieva: RVKnowHow.com We were reading Joe and Vicki’s tips before we ever got an RV! They are the voice of experience. See my blog post from Aprill 2003 when I first linked to RVKnowHow.com! Phil May of TechnoRV.com wrote the story of his family’s first year on the road. If you travel with kids – this is the one to read. From High Tech to High Plains. RVBookstore.com puts many of the above books in one place, and then adds even more. RVBookstore is owned by Chuck Woodbury of RVTravel.com. I know that there are lots more – please leave a comment with your favorite RV authors or eBook tips. Sun City Hilton Head is just north of Savannah, so when we planned our visit we figured we would take a day to tour Savannah. Catherine and Brent said that Sunday would be a good day for them – we’d drive to the north side of the river where there was good parking, and take the water taxi across to where we could get on a tour trolley. When we got up and took a look at the weather, a tropical storm was headed our way and it was raining – not a good day. But they said we could still just go for a ride to Savannah and drive around a bit – then take in the Air Museum. As it turned out the day was just fine, but we liked having Brent and Catherine as our tour guides anyway. For a last minute event, they got a pretty good turnout! After the presentation, we got a tour around Sun City. Their computer club has over 2,000 members! So, even on annual dues of only $10, they are able to afford a completely equipped computer classroom. 12 workstations, each with one monitor/keyboard/mouse – but two computers! One PC and one Mac. A simple switch goes back and forth between the two. Plus – they have 8 iPads for students in the iOS classes! Amazing. I thought the computer club’s classroom would be down the hall from our presentation room in the clubhouse but, no! It was a drive – and on the way, we passed nature trails, tennis courts, pickle ball courts, and people bicycling everywhere. They’re not kidding when they say it’s an ‘Active’ community! They also have an RV club. And, we’re staying in the community RV park. Actually, it’s a storage lot for residents with RVs – but they have a few full hookup sites for visitors like us. Very convenient. After the seminar and the tour, Catherine took us to Hilton Head Island. I’ve never been there, and Jim remembers it from many years ago, when he crewed on yachts captained by his Dad, and docked at the Harbour Town Marina on Hilton Head island. I took advantage of the pretty scenery to use my old camera and my new lens from Glenn. And, in the evening, Catherine and her husband, Brent took us sightseeing in Bluffton, and then to dinner. 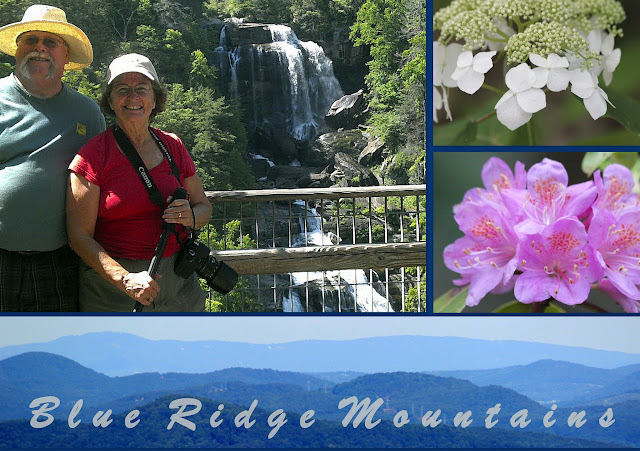 What a wonderful day with new friends – all because of Picasa – and RVing.